You're LOSING Money – Each And Every Time One Of Your Website Viewers Gets A 404 Error! "Now you can quickly and easily put a stop to all those page cannot be displayed messages and put more MONEY into your bank account!" You click on a link or type a URL into the address field of your browser. But instead of being taken to that particular web page, you're confronted with a 404 error… that infamous "Page Cannot Be Displayed" message. Maybe you typed the URL wrong. Or maybe whoever created the hyperlink made a mistake in the HTML coding. Either way, the page you're hoping to access doesn't display. So you try it again and receive the same results. 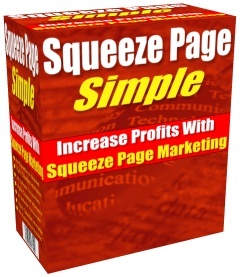 If you're really interested in getting to that page, you might make a few more attempts. But regardless of how determined you are, you'll eventually give up, perhaps making a mental note to come back later. You know, just in case it was caused by a temporary server glitch. Of course, if you're like most Internet users, you've got a dozen things going on at the same time. And that means you'll probably never get around to trying that page again, much less remember the original URL address or where the link was located. Well… that's exactly what most of your viewers experience. Once that 404 error shows up, they're gone. Most likely, never to return. But the bad part is, you won't even know that's what happened. Or how many times a day that sort of thing takes place. Oh sure. You could spend countless hours wading through your web logs every day in an attempt to keep track of each and every error message. But even then, you probably wouldn't be able to tell what URL address a viewer was attempting to access. Worse, without knowing what went wrong, you can't fix it. And let's be totally realistic here. Who's even got that kind of extra time available? Rather than being buried in confusing web logs, you should be spending every available moment on more important and productive details. Like advertising your online business and taking care of customers! You've paid good money to have a killer solo ad sent out to ten's of thousands of subscribers. And since it includes a time-sensitive offer — viewers need to get to the product sales page by a certain deadline — there's no room for error. Unfortunately, either you or the owner of the list typed the wrong URL address into your ad. Now what? Assuming you find out about the error soon enough, you can always send a second message to those same subscribers, one that includes the correct web page link. It's not the most professional scenario but at that point it's all you can do. Besides, what really matters is all the valuable time that's been wasted. Every single minute that passes by prior to sending the correction, you're LOSING money. An important message you posted on a discussion board. A quality article you wrote and distributed throughout the Internet. A link to your website that someone else placed on their resources page. A classified ad that got blasted to FFA sites and/or safelists. 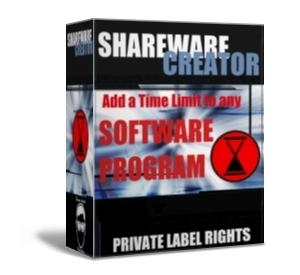 A product or affiliate link in a paid or free distribution ebook you released. A product or affiliate link in an ecourse you're sending out through autoresponder. The list goes on and on. And with so many areas involved, it's unlikely that you have the time or ability to be 100% certain no mistakes have occurred. So what's the solution? Say Good-Bye To 404 Errors Once And For All! Finally! A simple and completely effective method of doing away with all those ugly and unproductive 404 errors! Arrange it so viewers NEVER see another "page cannot be displayed" message, even if they've come from one of your affiliate pages. Never again lose sleep over whether or not you happened to input a misspelled URL address in one of your ezine ads. 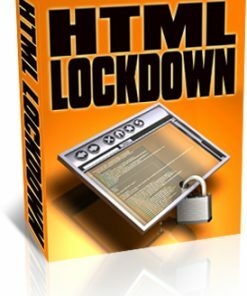 Install a simple "intelligent" script that can determine on its own what page a viewer was looking for (even though it was typed wrong) and take them there without hesitation. Receive an instant email message whenever a viewer reached your custom error page (including comprehensive details of where they came from and what URL they were originally trying to access). Purchase a product that not only offers FREE lifetime upgrades but comes with a 100% no-questions-asked, money-back, full-refund guarantee. With Intelligent 404, you'll have all this and more! And the installation is so easy, even someone with little or no script experience can handle it in a matter of minutes. Simply edit one file and upload four files to your web server. That's it! 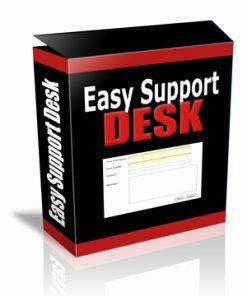 Note: If you need help installing the script or don't have time to do it yourself, we'll arrange to get everything up and running for a small additional fee. 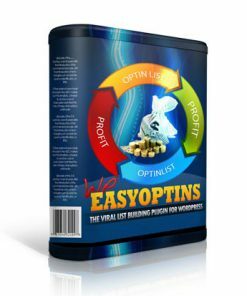 As an online business owner, the last thing you need to do is waste valuable time worrying about 404 errors. And even if there was some way to guarantee that each and every one of your hyperlinks is accurate (which there isn't), you certainly can't control whether or not a viewer will type in your correct URL address. 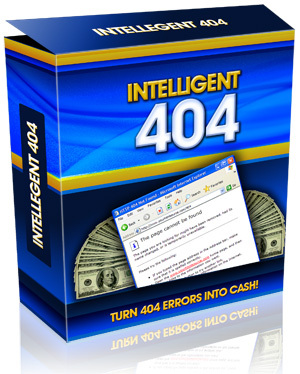 Put an end to all that forever by purchasing Intelligent 404 right now! You'll not only gain the most effective and most efficient method of eliminating 404 errors, you'll know for certain that your viewers will always get to the web page they're looking for! 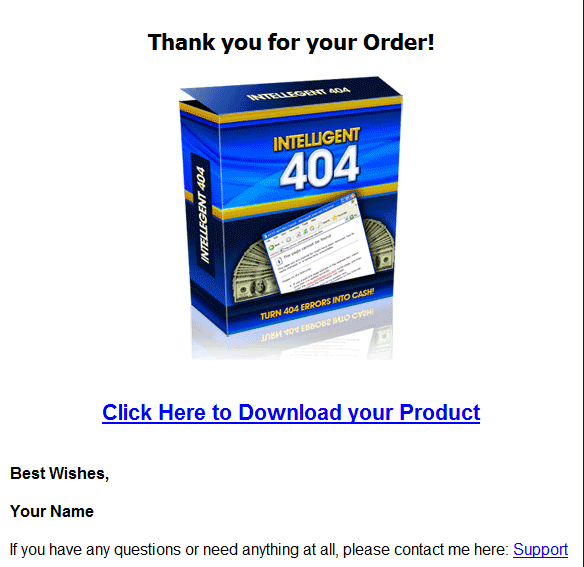 Remember, Intelligent 404 is so intelligent, it will automatically determine what the wrong URL address should have been. Once it zeros in on the right one, the viewer is taken there immediately. And they won't even know there was anything going on "behind the scenes!" The only problem is, the correct URL has an extension with an "L" on the end… "html". Regardless of how the the "misspelling" occurred, Intelligent 404 will simply substitute the correct extension and the viewer goes straight to the real web page automatically! Now that's the way to conduct business with the highest level of professionalism! PLUS, you receive an email telling you exactly where the viewer came from and what URL address they were trying to access. If it turns out to be a bad, broken, or incorrect hyperlink, you have the ability to correct the problem in a timely manner. Of course, in the meantime, you can relax, confident that the viewer was already directed to the right web page! Whatever you do, don't put this off – do it right now while it's fresh on your mind. Click the link below… fill-in the information … and get your copy of "Intelligent 404" today!